Welcome to the third consecutive post dealing with the lost history of the changing portrait hall. This is the latest information about this still-unfolding story. It could have been appended to the previous post, I suppose, but the topic seemed worth blogging about on its own terms. I've had a chance to exchange emails with the man who put up for sale the slides of the changing portraits that appeared in the recent Van Eaton auction and have been the subject of the previous two posts. He's a former WDI Imagineer (goes by "gerG"), and he tells me that he originally rescued the slides from the trash, and that there were no fewer than eight sets. A couple of those sets went back to Disneyland somewhere, a couple of sets went to WDI archives, gerG kept a set, and the other three sets were tossed out (I know, hard to imagine). Eight sets is a lot of back-up, and gerG thinks this is yet another indication of a heavy commitment. I would add that another indication is the size and complexity of the projection machines Yale developed for the effect. The Imagineers must have really and for truly expected to use this six-panel system. When did they cancel those plans? I think it's safe to say that the concept must have been abandoned by the time they wrote the script for the "Story and Song" souvenir album (May 1969). 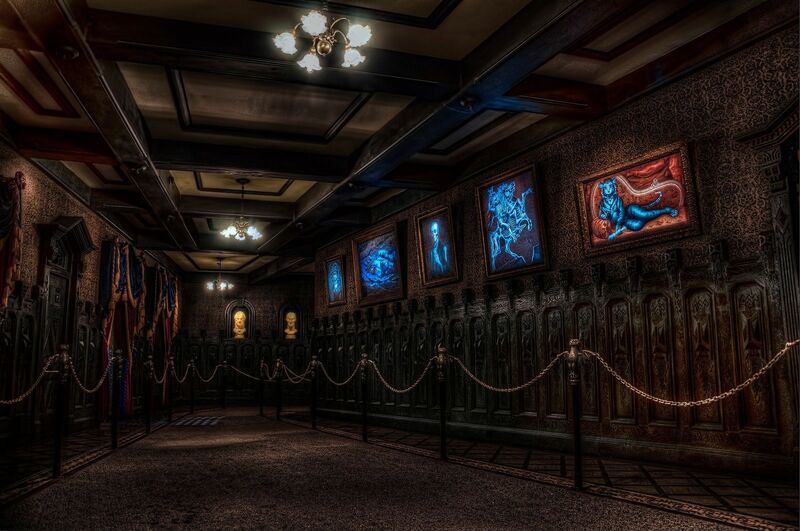 The narrative describes the portraits as changing with the lightning flashes (which is, as you know, how it was done when the ride opened and how it is done now). gerG is pretty sure it went like this: the six-panel changing portraits were going to be shown to each group of guests separately after they exited the stretchroom elevators. Each group would stop in the hallway and watch the five pictures run through their six-panel shows simultaneously, and then, after the group had moved on, the portraits would reset to scene one for the next group. Clearly the walk-through portion of the ride was still expected to follow the same episodic show-flow that they had assumed it would have for as long as the attraction was planned as a walk-through, beginning with Ken Anderson's 1957-58 scripts and continuing through the Rolly Crump/Yale Gracey phase (1959-1964). That is, they planned for group movement from room to room, with a brief show in each. 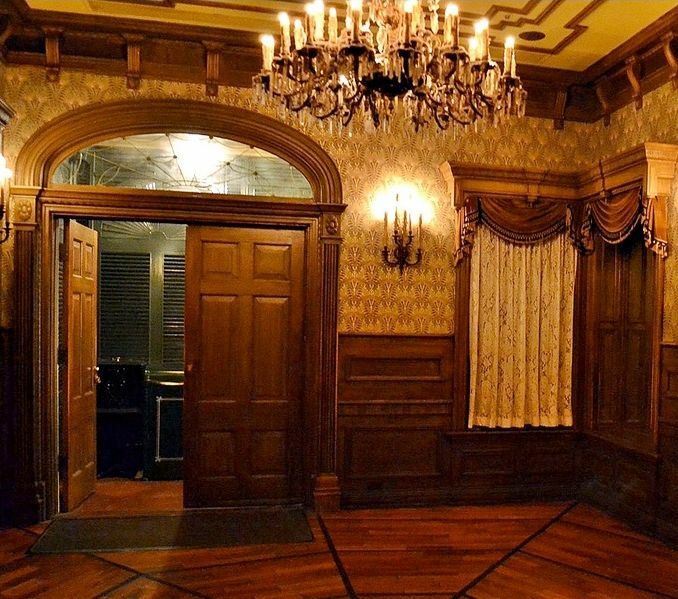 Remnants of that show-flow still exist in the Anaheim Mansion, but it is obscured by the fact that the first scene (the foyer) and the third (the changing portrait hall) no longer adhere to it. It was supposed to work like this: A group of people would enter the foyer, and the doors (plural) would be shut. The show would then begin with the familiar opening spiel by the Ghost Host, and the scene would end when the group had entered the elevator. Only when the elevator doors were closed would the front doors be opened and the next group admitted to the empty room. You never saw anyone outside your group. 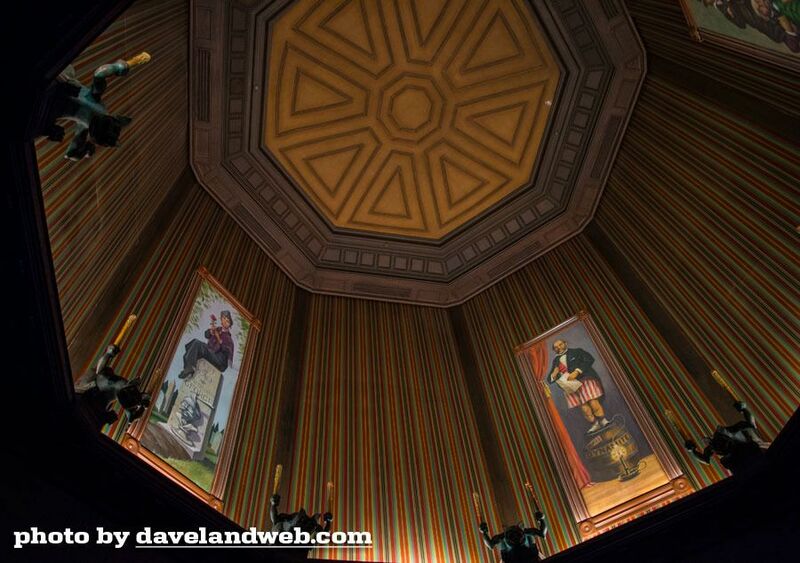 When I rode the HM during opening week, they still held to this format in the foyer. Both of the front doors were closed between groups. Nowadays, of course, only one is typically closed. The other remains open for late-arriving guests dribbling in. The groups are hot on each others' heels, and there is little or no sense of separation between them. Guests-per-hour is the name of the game. The psychology is that the walk-through portion is really part of the queue. The "real" ride begins with the doombuggies. By way of contrast, scene two (the stretching gallery) continues to follow the original concept, because the room's design mandates it. You have one and only one group in there, standing still, and the scene has a clear-cut beginning and end, marked by opening and closing doors. The changing portrait hall would have been the third scene, following the same format. Until the full group had exited the elevator and the doors were closed, the portraits would have all been frozen on their first panel. Everyone would stand still as the pictures morphed through their six scenes. gerG thinks they would have all done this simultaneously, and perhaps he's right, but it's also possible that they would have done it one by one, like falling dominoes. At scene six they would have frozen again, and the butler or maid would have shoo-ed the guests around the corner to the load area. As I said earlier, once the corridor was empty, the portraits would have reset to scene one, and the next group would emerge from their elevator. Conceptually, the show in the hallway would have been much like the show immediately preceding, where all of you watch all four of the paintings stretching before your eyes and they stay that way until you leave, at which point they roll back up. At some point the Imagineers must have realized that this was not the most efficient way to do things between the elevators and the doombuggy loading zone. For one thing, they may have foreseen that people might not understand that they were supposed to stop and wait. The CMs would have had to herd them pretty carefully, that's for sure. There's also the matter of visibility. Unlike the elevators, not every place in the portrait hallway is a good vantage point for seeing the paintings as a group. With the sort of show described here, one might have expected something in the Ghost Host's spiel tailored more specifically to this hallway. 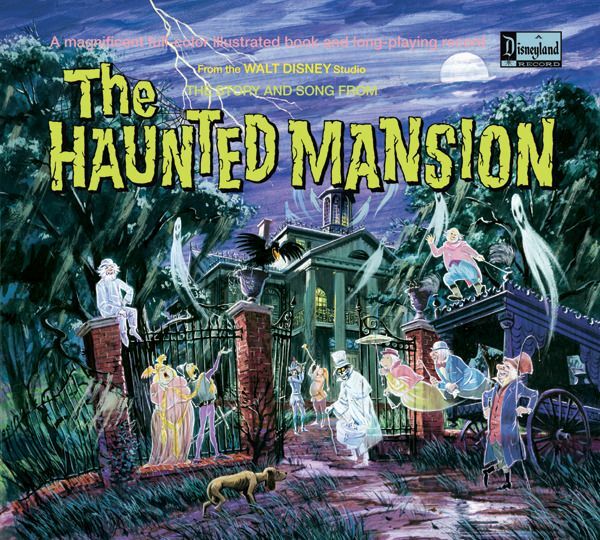 The fact that we have no Paul Frees outtakes talking about the paintings may be another indicator that plans for treating the hallway as a discrete show scene were already long gone by the Spring of 1969, when the Ghost Host recording sessions were done. If the GH originally did have a spiel for the scene, however, that would explain why the boarding instructions come so early ("And now, a carriage approaches..." etc.). That part of the spiel would originally have been intended for the next scene, the load area. Frankly, I'm glad it ended up the way it did. With a little luck and planning, you can sometimes have the hallway to yourself for a few moments, and as I've said before more than once, that's worth a lot.